To be blunt, his office was stunning – beautiful furniture, amazing lighting and with fantastic views of the surrounding countryside. He’d also got a large fish tank along one wall which gave the London Aquarium a run for its money, with fish of all shapes, sizes and colours swimming gracefully around. John told me that he just didn’t ‘get’ Social Media. He said that he had seen one competitor using Twitter, so he had given that a go. He added that another company he knew was using YouTube to showcase their designs, so he’d given that a go too. And to top it, he knew of yet another competitor who had a great looking Company page on LinkedIn – so he’d given that a go too. The only problem for John, was that none of it had worked. Actually, the problem for John was that ‘give that a go’ isn’t a plan – just as ‘tweet and hope’ isn’t a viable strategy either. All of a sudden, mid conversation, John checked the designer clock on the wall, got out of his chair and went over to his fish tank. And as he did so the fish suddenly became agitated and excited. “It’s feeding time” he said. “I feed them at exactly 11 am every day – you can see how eager they are; it’s as if they’re expecting it”. This got me thinking, and I suggested to John that he should look at Social Media as like feeding fish. 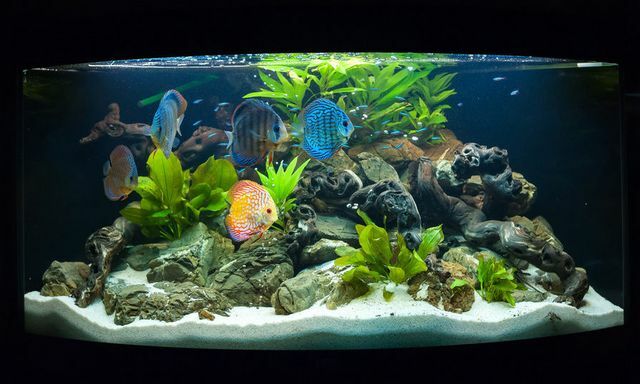 The fish represented his clients and advocates, and the tank represented his social network. The food he was sprinkling in the tank represented his value – his expertise, authority, reassurance, knowledge, reputation and credibility. I suggested that his real-life clients don’t want just the occasional tweet, or video or random post on LinkedIn. What they want, need, expect and will value, is great content from him on a consistent, timely and regular basis - posted through Social Media. And just like feeding his fish, he needed to commit to it. “OK, I get it now” he said, and smiled. Relying on LinkedIn as a free CRM? Not much longer!